By taking a holistic approach to sports performance, we look at the whole person, building strength and fitness, perfecting biomechanics and examining nutrition. Individuals can work one-on-one with a Physical Therapist or Certified Strength and Conditioning Specialist to create a customized program for improvement of specific deficiencies. To enhance sports performance, The Schwarz Institute provides personal training for individuals and teams in its spacious indoor facility. 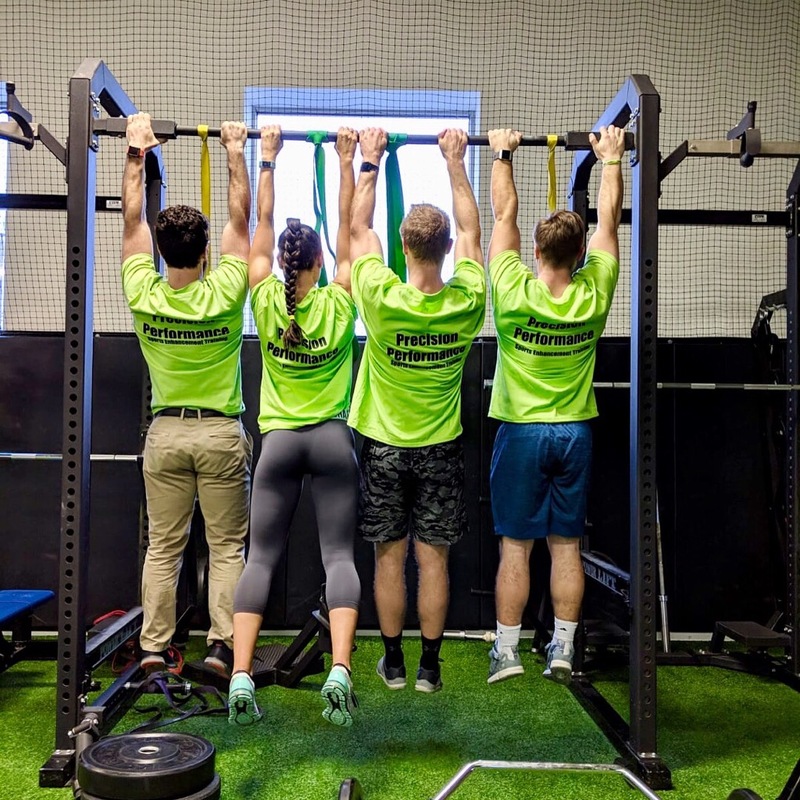 One of our Athletic Trainers, Physical Therapists or Certified Strength and Conditioning Specialists will work with you to create a personalized plan to attain goals, correct body mechanics, increase strength and flexibility and improve performance. We also offer group classes and small group training (private one-hour training for 2-5 people). 12 one on one training sessions. DARI is a marker-less biomechanics analysis system that uses 8 cameras to identify compensations, risk of injury and performance inhibitors. What is a Peak Power Test? Upper and Lower Extremity Peak Power identifies how much force can be produced in a desired movement. Who Teaches the Group and Individual Training Sessions? Certified Strength and Conditioning Coaches who were all prior Elite College or Professional Athletes will be teaching our classes. All have >5 years of experience, know proper lifting and strengthening techniques and will not let you get injured! A 60 minute consult with a certified nutritionist to assist in healthy, sustainable nutrition strategies personalized to the clients specific weight related goals. What is a Monthly Nutrition Diet Plan? A personalized diet plan based on client specific goals. Nutritionist will develop a meal plan, monitor adherence, and provide weekly goals, feedback, and learning material necessary to ensure maximum results.